For over 20 years, Maverick helicopters has been flying passengers from Las Vegas on thrilling flights across the Grand Canyon and beyond. 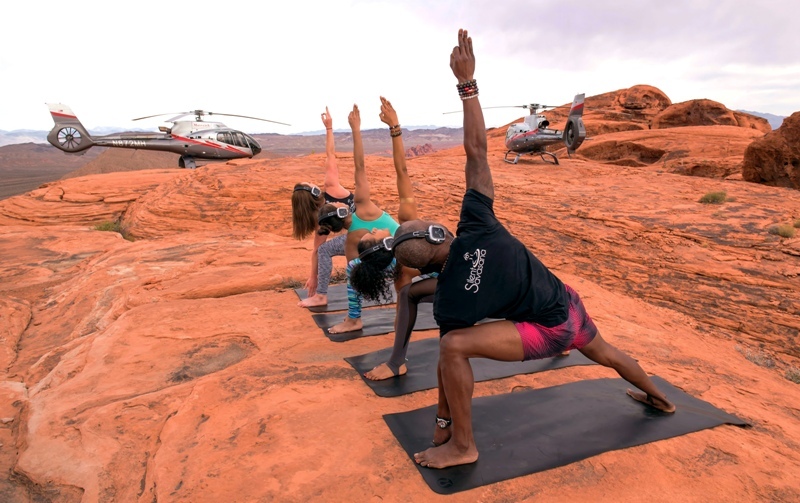 But now the company is embarking on a new type of air adventure exclusively for yoga enthusiasts. 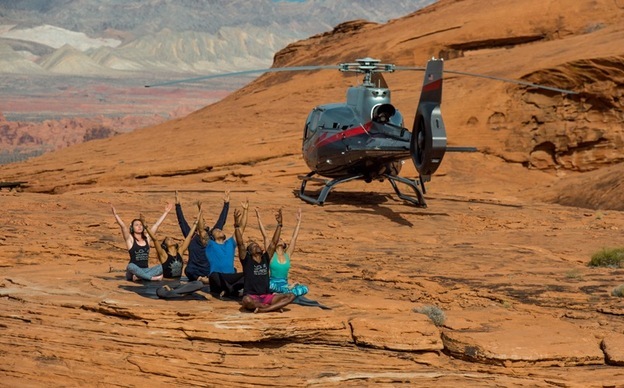 HeliYoga from Las Vegas. 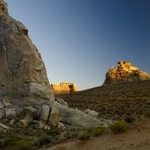 Passengers can now enjoy an exclusive, luxury helicopter flight followed by a private, 75-minute yoga session at the Valley of Fire State Park which is considered one of the most remote destinations in the southwest of the U.S.
To do this, Maverick has partnered with the award-winning local yoga company, Silent Savasana where participants wear state of the art wireless headphones as they go through classes for balance, discipline, focus and strength of mind. Yoga mats from lululemon at Fashion Show Mall are supplied, along with water and the class will end with a champagne toast. The heliyoga from Las vegas concludes with an exciting flight over downtown Las Vegas and the Las Vegas Strip. HeliYoga – Limitless ($3,499) is available via private charter from Maverick Helicopters flying in the world’s safest and most comfortable tourism-based helicopter – the Airbus EC130/H130 ECO-Star aircraft. The luxurious aircraft offers guests a spacious cabin for up to six passengers plus one yoga instructor; voice-activated headsets; theater-style, leather seating; and wraparound windows for superior visibility.